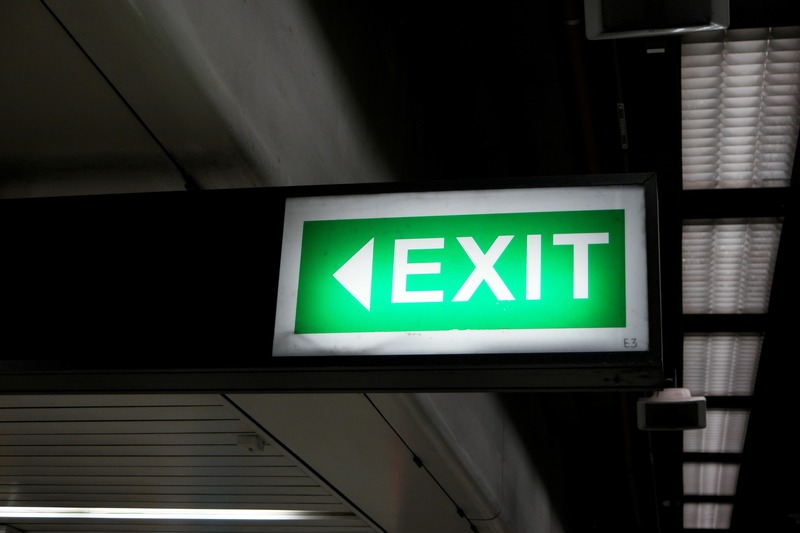 Does your business have an exit strategy? If not, you need one. An exit strategy is a plan that enables you to sell your business when you want. Without an exit strategy, you have a job, but you don’t have a business asset to capitalize on all of your hard work. It creates choices. Too many business owners beat a dead horse because they don’t know how to get out. By the time they desperately need to get out, it’s often too late to capture the full value and exit gracefully. Someone (investors, creditors, an irate spouse) has to grab it away from them and put them out of their misery. An exit strategy focuses on what will create value. If you think with the end in mind, you’ll work on what will make a lasting difference, not just what you need to do today. You’ll build assets that will make the business work better tomorrow. Systems for getting the work done. An organized client database. Patented or trademarked products. Each of these is an asset. Day-to-day business distracts us from developing these. You’ll stay sharp on the competition and take action faster. If you needed to sell your business today, just think of all of the things you’d get done. There’d be fewer excuses for good intentions unfulfilled. You’d find a new sense of urgency and action. It’s the difference between working for the business and having the business work for you. If you can’t get out, you’re stuck in a job. If you can sell the business or have other ways for someone to take over, you have a real business asset. Something you can sell and others will buy. An exit strategy makes the business more fulfilling now. How many of us scurry around to fix up our houses when it’s time to sell? Imagine how much better it would be if we had time to enjoy the improvements ourselves? The same is true for fixing up our businesses. Think of your business as something you are selling to yourself every day. Would you buy it? It attracts investment dollars. Whether a relative or a venture capitalist, an investor wants to know how the business will pay back the investment with interest. A clear exit plan with concrete options for getting cash out will draw money to your business. You’ll decide to keep the business. When you run your business as an asset (something you can keep or choose to sell) you’ll probably keep it. If nothing else, you can choose to have someone else run it for you. Lots of entrepreneurs fear even thinking about an exit plan. It’s like treason to them. “Oh, I couldn’t abandon my employees,” they plead. This is self-serving. If the business is really worthwhile, it will go on without the owner. Many businesses thrive when their owners decide to let go and new ideas come forward. OK, are you persuaded to do an exit plan? Here’s what to do. Review the assets currently in your business. What’s the business worth? Decide what you’d like the business to be worth. Envision something really appealing to you. Target the key steps to add value. What would a buyer value most? Plan how to create these assets. Break up the job into pieces or tasks you can get done. Identify potential investors or buyers long before you’d ever think of selling. It takes time to build rapport and get them interested. Relax. The business is working for you. With an exit plan, you’ll enjoy your business more. And, who knows what you might like to do next. At least, you’ll have choices.